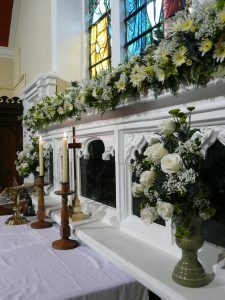 The object of the Friends of St. Anne’s, Copp is to raise funds to assist toward the preservation and maintenance of the church and the churchyard. You are warmly invited to join us. Please download the brochure below, complete the form and return it to us. We would encourage you to also complete the Standing Order form on the back to ensure that your membership is renewed each year. Friends will receive regular updates and also a copy of our magazine. Please help us to keep costs down by providing your e-mail address so we can send this to you electronically. Personal Membership is available for a minimum donation of £10 per annum for individuals or £20 for couples. Business membership is available for a minimum donation of £20 per annum.